My Coke Rewards: FREE Shutterfly photo book! You are here: Home / rewards programs / My Coke Rewards / My Coke Rewards: FREE Shutterfly photo book! If you’ve been entering the FREE My Coke Rewards points into your account, check and see if you have a FREE Shutterfly photo book offer! Enter 5 My Coke Rewards codes in the month of August and you can get a free Shutterfly photo book! It looks like all of the freebie codes we have been entering this past week are now expired. I’ll keep you posted as new codes pop up! NOTE: If you have no activity on your My Coke Rewards account for 3 months, you will lose your points, but if you contact them, they will re-instate them as a one time courtesy! (thanks to Nikki for sharing that tip!). There is also a limit to the number of points that can be entered weekly. 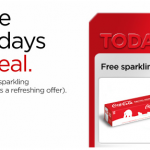 My Coke Rewards: 10 pt code, POGO membership, and FREE Shutterfly photo book offer! My Coke Rewards points: 30 free points! My Coke Rewards: 30 FREE rewards points! Try these, their ones I have been using, just put them on my husbands account and they worked fine.